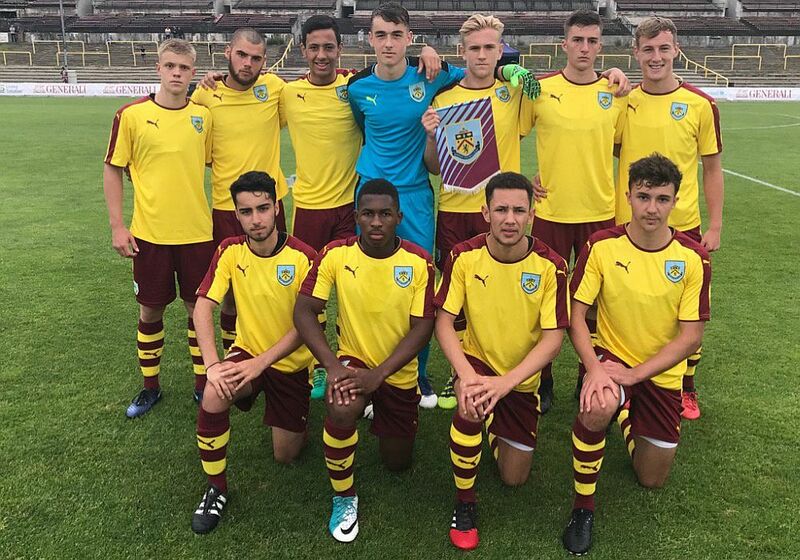 Burnley won through to the final of the Generali CEE Cup this morning and just a few hours later we learned that our opponents in Wednesday’s final will be Everton who made no mistake with a 6-0 victory against FK Sarajevo. When academy manager Jon Pepper first approached me regarding the Up the Clarets Youth Foundation sponsoring this trip for our youth team, he explained that, while being of great benefit to the lads, it would be a difficult tournament for us with an under-18 team playing in an under-19 competition and it being during our pre-season with the players building up their fitness in readiness for the new season. I promised him a quick answer and was able to give the trip the thumbs up very quickly after discussing it with others involved with our foundation. We’ve done similar things before during Martin Dobson’s time in charge. We sponsored a trip to the Northern Ireland Milk Cup in 2011 which I know Dobbo was delighted with and he told me just how important they are for teams at this level. I have to be honest though, it’s been better than I imagined. I didn’t think we’d be able to watch all the games live and I certainly didn’t expect us to reach the final of the competition. At the time we made this possible, Michael Duff was expected to be in charge of the team, but while he’s had the delights of Colne and Witton Albion (who we play tomorrow), new coach Danny Cadamarteri has started at Burnley with this excellent achievement. Wednesday’s final will be played at Stadion Ďolíček, the home of Bohemians 1905 with a kick off time of 6 p.m. (CET)/5 p.m. (BST). The game is being screened live on television in the Czech Republic and we will be able to watch live ourselves via YouTube as we have with the previous games. Jon said: “We came into the tournament with no real expectations. We’re still in pre-season and hadn’t played ninety minutes. We thought we’d be doing some training and getting a couple of games under our belts, so we’ve really exceeded expectations. “But everyone has been very focused and wanted to do well with a new coach. We have got 13 first years who have wanted to impress and the boys have done very well. “There has been a real momentum within the academy over the past ten months or so with a feeling that it can be a pathway to a career and I think that has helped with the focus and everything that has gone on out here. Up the Clarets Youth Foundation is delighted to have been able to back this trip and it is something we would be very keen to do again if the money was available. Next season we will again be running the First Goal Sweep and Fantasy Premier League and will be hoping to add to that as the season progresses. Should you wish to join either (or both) you would certainly be very welcome.